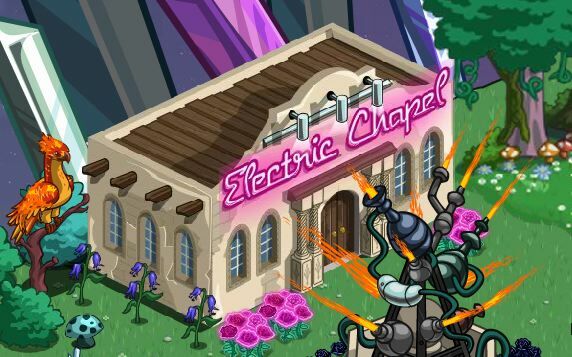 The new quest is (appropriately) called Electric Chapel, and it is just as easy as you'd expect (after all, Zynga surely wants to expose as many players as possible to Lady Gaga's new album, so why make the quests hard?). Chrome Daisies can be planted for just 30 coins per square. The Crystal Flowerbed, meanwhile, is a decoration found in the store that costs just 2,000 coins. 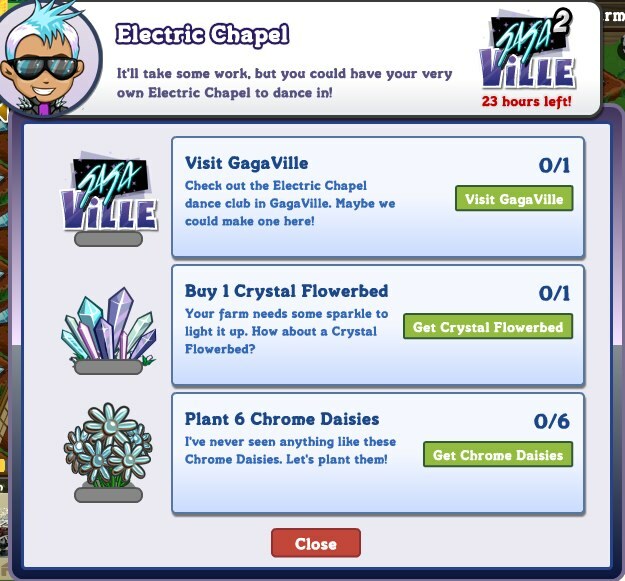 After you visit GagaVille, you'll finish this quest automatically, and will be given 2,500 coins, an Electric Chapel dance club (a large building that can be placed on your farm), a second VIP ticket and the chance to be one of the first to hear 'Electric Chapel' track from Gaga's upcoming 'Born this Way' album. 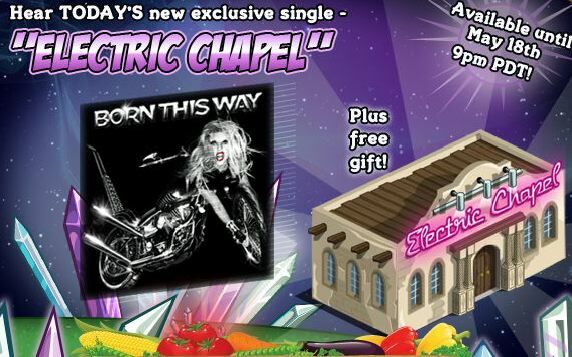 Just as with the first GagaVille quest, Electric Chapel will only be available to complete until 9PM PST tomorrow evening, so make sure to set the song on repeat until then to get your gaga fix. Check back with us after this quest expires to take a look at Quest #3, including a full guide on how to complete it. Do you like the way these GagaVille quests seem to be set up, with very easy requirements? Would you prefer the quests be more challenging, or give you something else to work towards (say, a sheep on a motorcycle)? Let us know in the comments.